Description: After using a lot of different journals, we decided to create the one that we wanted to use. 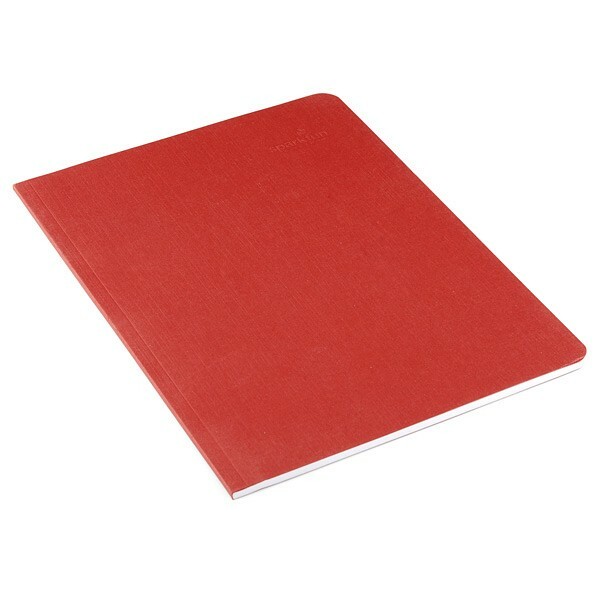 52 pages thin, matte red flexible cover, with 1/8" grid on every page. It's light weight, easy to pack, and has just enough pages to record all those crazy ideas. Also, we've altered the pages slightly, the grid is now white on grey. These really are great notebooks, we use them constantly at the office. They're flexible enough to stuff in your backpack but rigid enough not to get torn apart in travel. If you're more into showing off, the SparkFun Red allows you to stand out in a crowd. And anyone that knows 'geek' will recognize the subtle embossed SparkFun logo.